This is the first roast beef sandwich that I have created from roast beef that I actually made myself. 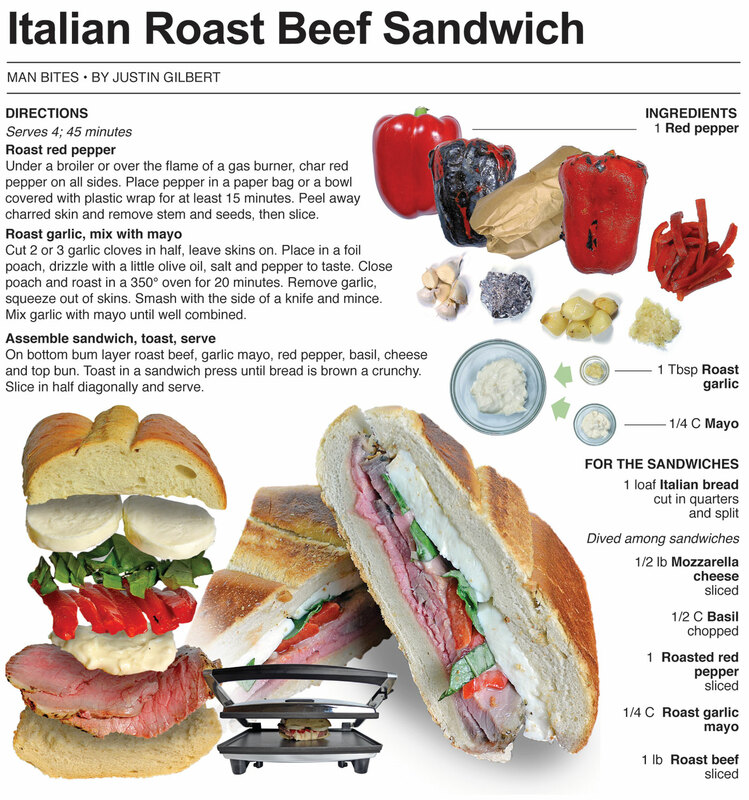 I flavor the beef with Italian seasonings, so I thought I would continue the theme all the way through the sandwich. 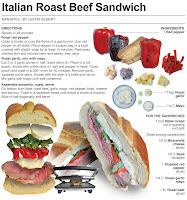 It features Italian bread, basil, roasted red pepper and garlic - flavors I associate with Italian cooking. I finished the sandwich off by toasting it in a newly acquired sandwich press (bought on clearance for $10) and it performed really well. I have to say that this was one of the best roast beef sandwich that I have ever eaten. 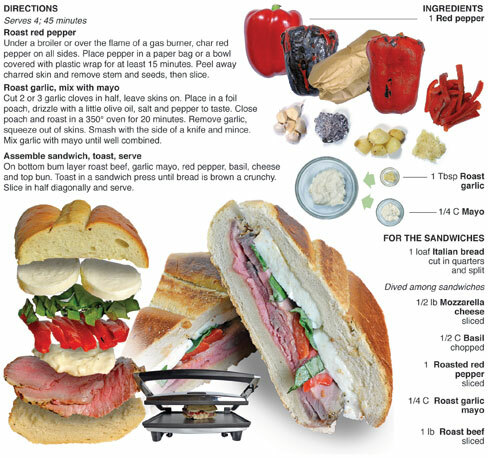 Every element has a gourmet touch from the roast beef itself to the roasted red pepper and roasted garlic mayo. Combined those elements with the toasted Italian bread and you have a sami for the ages. This recipe has inspired me to look into buying a nice slicer for my kitchen, it would pay for itself in time if I quit buying lunch meat and start making it for myself at home. 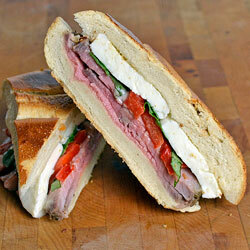 A great slicer could help me get those deli thin slices of roast beef and turkey that I love in wraps and sandwiches. This sandwich may have been one of the best roast beef sandwiches I have ever eaten, but the worst roast beef sandwich I've had was purchased in Manhattan when I was working for the Associated Press just a couple of years after I had moved to New York City. The sandwich was fresh and all the elements were good. The roast beef had good flavor but was underdone. Eating an individual slice was no big deal – I actually like my beef on the rare side. The only problem was stacking multiple slices onto each other. They were nearly raw in the middle and the first few bites were ok, but when I got to the center of the sandwich, and therefore the center of the beef slices, the meat was just a glob of raw beef. It was like biting into a room temperature steak before it was cooked. The raw sweetness of the uncooked meat got the best of me and in an instant I was under my desk at work spitting out a big bite of my sandwich - it was either do that or gag on it. Thank god nobody saw it happen, because nothing makes lunch more yummy than your coworker spitting a glob of raw beef into the trash.